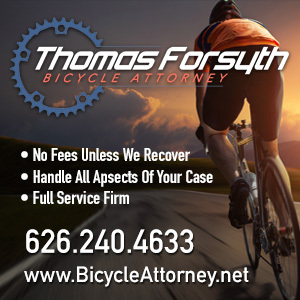 Cyclist, attorney and court case correspondent Dj Wheels emailed today to catch us up on the current status of the all-too-many mostly bike-related cases winding their way through the local court system. First up is the case of Patricia Izquieta, charged with the hit-and-run death of Don Murphy in Newport Beach last December. The Pretrial conference for April 16 was heard, but apparently the Preliminary Hearing which was scheduled for April 26 was cancelled and rescheduled. There is now a Pretrial conference scheduled for May 14 and the Preliminary Hearing for June 17. Next up is Marco Antonio Valencia, the hit-and-run driver who was reportedly high on alcohol, methamphetamine, cocaine and marijuana when he killed Joseph Novotny and injured three others. There were pretrial conferences heard on March 23 and April 8 at the San Fernando Courthouse. Another pretrial conference was scheduled for May 18. Robert Sam Sanchez is charged with the hit-and-run death of Rod Armas and seriously injuring his son Chris in Malibu during the L.A. Wheelmen’s Grand Tour last year. The Preliminary Setting conferences scheduled for March 11 and April 19 were both heard at the Malibu Courthouse. Another Preliminary Setting conference was scheduled for Friday May 7 at 1:30pm. What’s interesting is that the docket says, “VICTIMS WILL BE PRESENT TO MAKE STATEMENTS.” I called the DA’s office in Malibu to find out what this meant. Deputy McIlvain explained to me that May 7 is a Preliminary Setting Conference, and a disposition (plea bargain and sentencing) may be possible on that day. However, she is not allowed to disclose the terms of the offer for the plea at this point. If it is accepted, the case may reach a resolution that day, otherwise they’ll move forward with the Preliminary Setting conference to schedule a date for a Preliminary Hearing. I’m going to make my best effort to be there next Friday. Celine Mahdavi is charged with the West Hollywood hit-and-run (notice a common theme here?) that seriously injured professional cyclist Louis “Birdman” Deliz. Preliminary Setting conferences were heard on March 22 and April 23 at the Beverly Hills Courthouse. A date of June 11 was scheduled for the Preliminary Hearing. William Keith Square was arrested in the hit-and-run death of a still-unnamed cyclist in Carson earlier this month; at last report, authorities had not been able to locate the victim’s last address or next of kin. On April 17, Square killed a cyclist in Carson with his car and left the scene. Luckily a witness wrote down his license plate # and Sheriffs arrested him at his home in Long Beach. The Inmate locater page says the arraignment is scheduled for May 5 at Compton Municipal Court. It also says that Mr. Square was arrested on April 18, assigned to permanent housing on April 24 at 4am, and then released from custody at 7:47 am. This is strange because usually it will also state the bail amount, but it doesn’t in this case. Bail for something like this should be something like $100,000, of which a bail bonds company usually asks for 10% to post bond for you. Former state legislator Walter Karabian faces charges for assaulting an unnamed parking lot attendant with his car during a USC football game last fall. The Pretrial conferences for March 24 and April 23 were heard. At the last hearing, Karabian’s defense attorney, Joseph Gutierrez, was granted a motion for sanctions against Classic Parking for failure to provide subpoenaed documents. Classic Parking is to pay the defendant $500. Another Pretrial conference is scheduled for May 13 at the East L.A. courthouse. 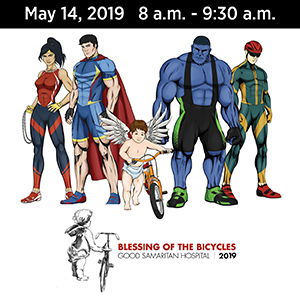 Finally, no charges yet in the death of Bahati Foundation cyclist Jorge Alvarado, who came to this country to fulfill his lifelong dream of riding professionally, only to be killed when 18-year old Patrick Roraff allegedly lost control of his car while street racing. This 18 yr old man killed Jorge Alvarado of the Bahati pro cycling team on April 8 while street racing on Greenspot Road out in San Bernardino. According to the SB County Court online case info page, charges have still not been filed against Roraff. Hopefully, the local authorities know that the cycling communities of two countries are watching this case closely; the comments in Spanish from the people who knew him are truly heartbreaking. 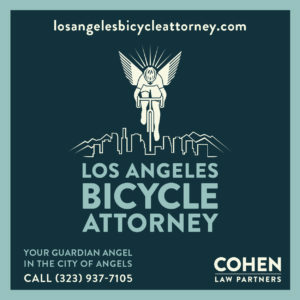 Special thanks to Dj Wheels for his amazing work in keeping us on top of these cases; if anyone needs a good young lawyer who knows bicycling, let me know. In better news, the jury in the case of the New York Critical Mass-bashing cop returned a verdict of guilty for filing a false criminal complaint, but acquitted him of misdemeanor assault. A former Republican candidate for Lt. Governor in Wisconsin offers a first-person account of an intentional attack by a truck driver; unclear is whether he was attacked for his politics or because he was on a bike. 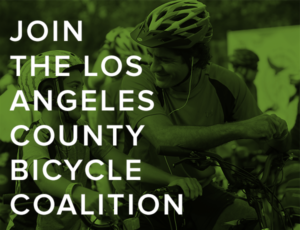 LACBC encourages you to say thanks to your yes-voting council member. USC’s Neon Tommy takes a look at Bikeside, which endorses Winograd for Congress. Stephen Box celebrates a successful campaign to get safe bike parking at the new police headquarters; on the other hand, UCLA’s bike lockers could use some work. Carless Valley Girl debates whether to ride bespectacled; always cover your eyes with something says the man who’s seen bees bounce off his lenses, among other things. You might want to stay off the road while the mayor’s girlfriend is on it.Cyclelicious talks to the producer of the upcoming Major Taylor biopic. A Long Beach intersection gets a road diet, creating more space for diners, walkers and bike racks. Ciclovia comes to San Diego starting tomorrow. The mindset of the female bike commuter, who rides faster and looks better than the boys do. Biking in Chattanooga — no relation — directs your attention to an exceptional biking artist. The Maryland Senate passes five bike-friendly bills, including a three-foot passing law. The cross-country travelling, penta-biking Pedouins are approaching Portland. A Fort Myers FL ministry donates bikes to the homeless. A kosher Crown Heights bike loan shop turns to sales. NPR offers songs for the urban cyclist. More doping rumors for pro cyclist Alejandro Valverde. After yet another London cyclist is killed, Mayor Boris calls for more stringent testing of drivers. What to do when you’re riding in Scotland and your wheel falls off. A new British motorists’ guide urges cyclists to claim the lane, while a leading bike group says cyclists could hold the key to the upcoming election. A bike racing Canadian novelist comes to the defense of Lycra with rants tips for cyclists. A day after Lexus announced their high-concept bike, Volkswagen unveils a folding electric prototype. I think I’ll have that tattooed on the back of my hand so I see it when I ride. I’ve been thinking about this for awhile. People in cars kill more people then the drug kingpins in Mexico. They take mostly innocent lives and usually there is very little repercussion for their actions. Why aren’t we taking this more seriously? In some countries, as a driver, you are guilty until proven innocent. With the ability to drive, a driver assumes serious responsibility. In Japan, if you are a driver and are involved in an accident with a bicycle, you are always at fault. Your percentage of responsibility drops determined by the bikers role in the accident. They always tell us that driving is a privilege but the laws do not seem to coincide with this so called ‘privilege’. There are just too many people who do not take driving seriously and way too many lives are affected by these people. We are in America not japan you are the one on the bike haven’t you ever herd of look both ways before crossing a street think twice next time. It’s not the drivers fault he is going 55 on a road made for the CAR not the bike. We cant stop in a second like a bike can or at least the bike can go off the road. If a car went off the road the could possible flip and kill themselves and whom ever is in the car with them. And the bike rider would just say “oh well” and be on with there day.